Ask the Expert Series – Webinars aired from 2017 until present. 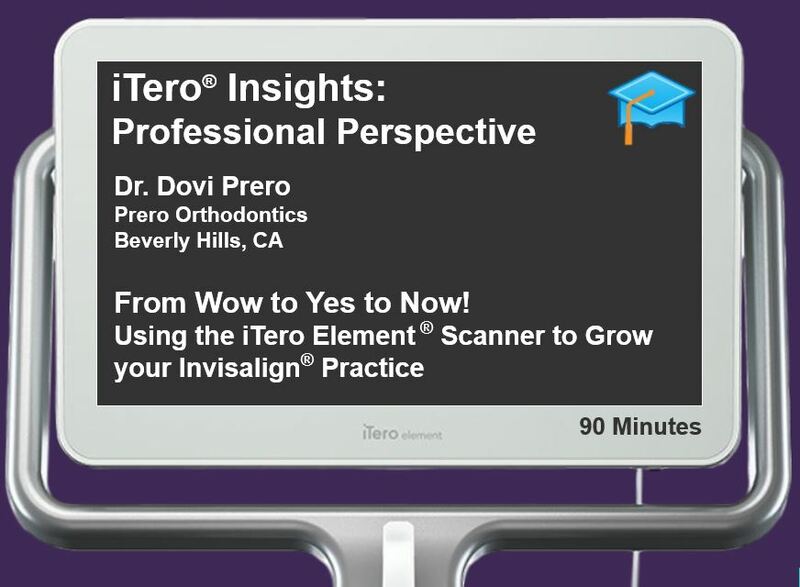 Inspire your patients and ignite your practice with the Invisalign Outcome Simulator! 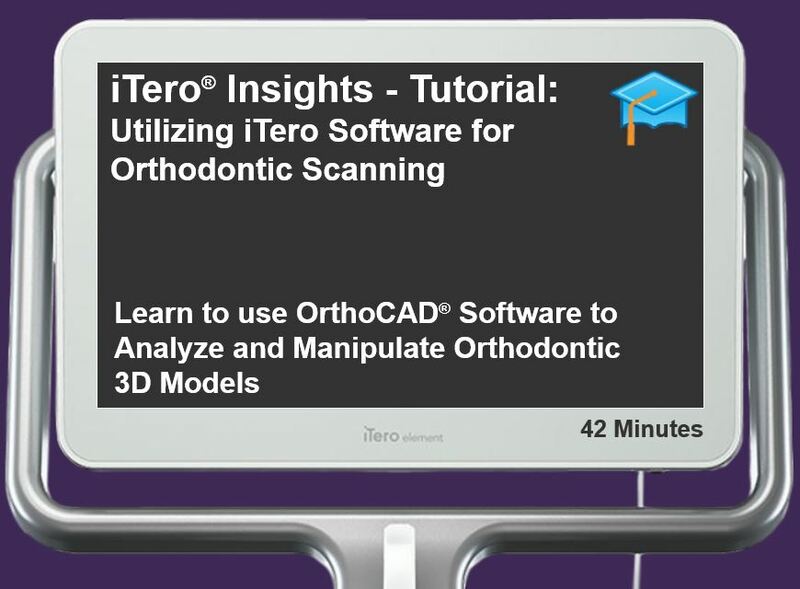 Determine the best scan span depending on the number of teeth and location of your restorative work. All the tools you can use to help show patients what you are telling them. 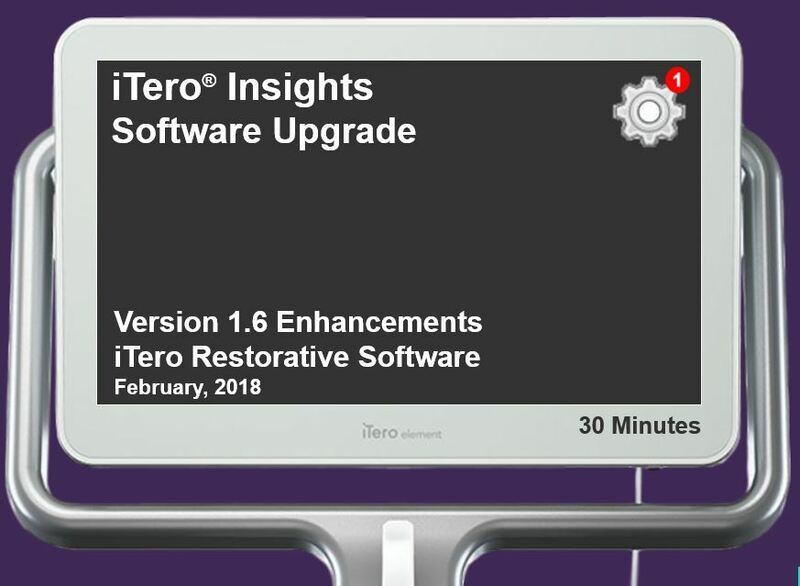 Reinforce the message around the importance of hygiene therapy and home care by showing the patient’s gingival changes with the iTero TimeLapse. 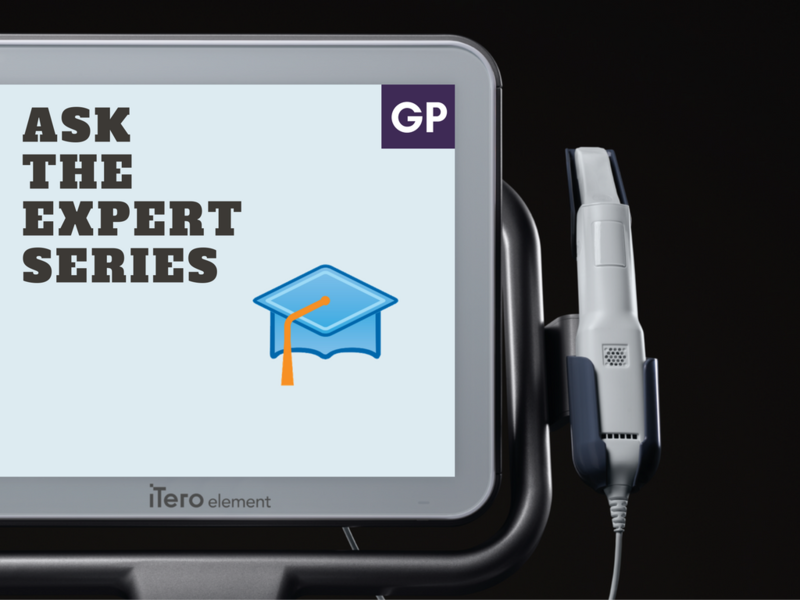 Create a reliable, consistent scanning workflow that supports predictable outcomes. Make changes on the treatment plan, based on the report and order additional aligners. How to read the report to your patients to keep them excited and engaged with the treatment progress. Clean your closets of hard models by scanning them! Educate your patients using the iTero® proprietary tools: Invisalign® Outcome Simulator and iTero®Time Lapse. 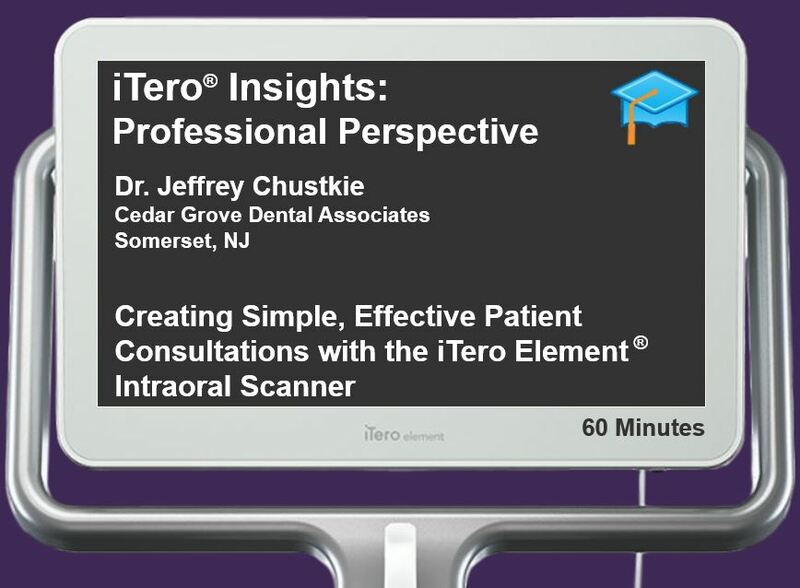 The benefits of implementing the patient consult powered by iTero in your practice today. Tips on scan technique and step-by-step instructions to submit a perfect scan. To maximize the digital workflow powered by the iTero Element scanner to: see it, plan it, solve it. 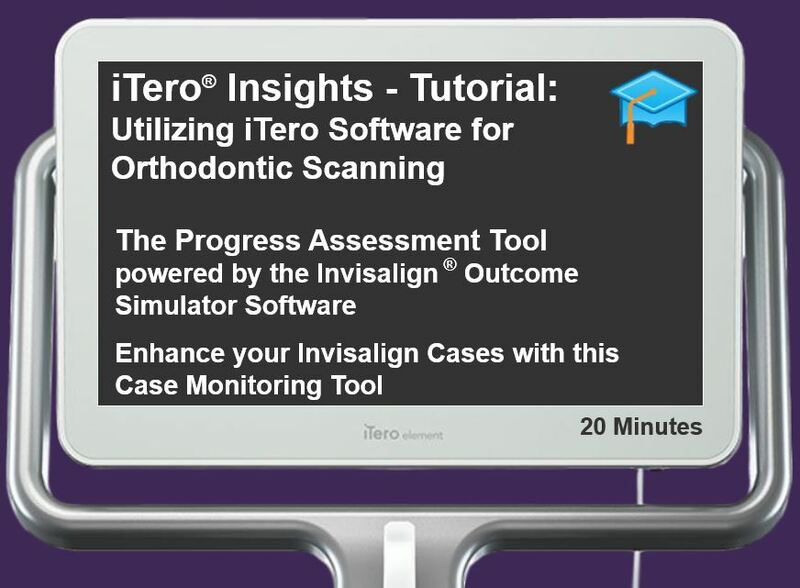 How to use the Invisalign Outcome Simulator as a tool to drive patient treatment acceptance. To utilize ClinCheck® treatment plan strategies to drive minimally invasive treatments. 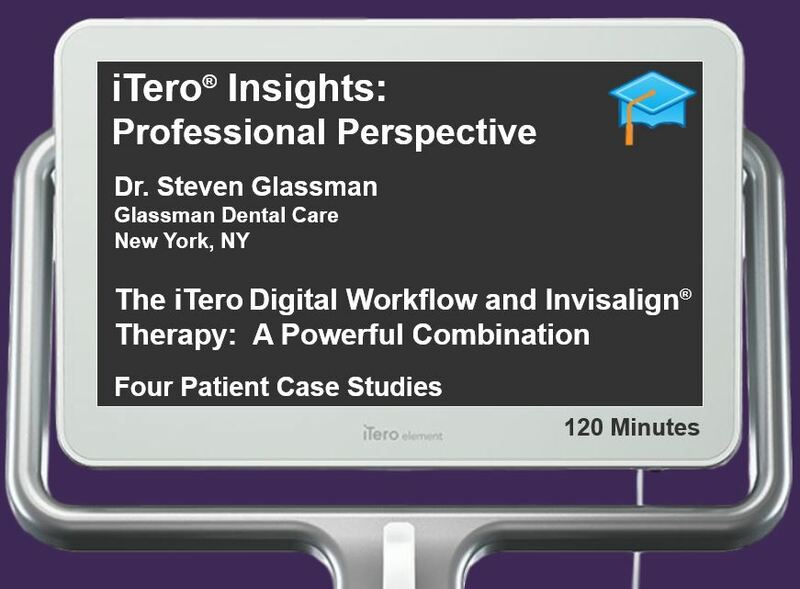 How to use the Invisalign Progress Assessment feature to improve treatment outcomes. 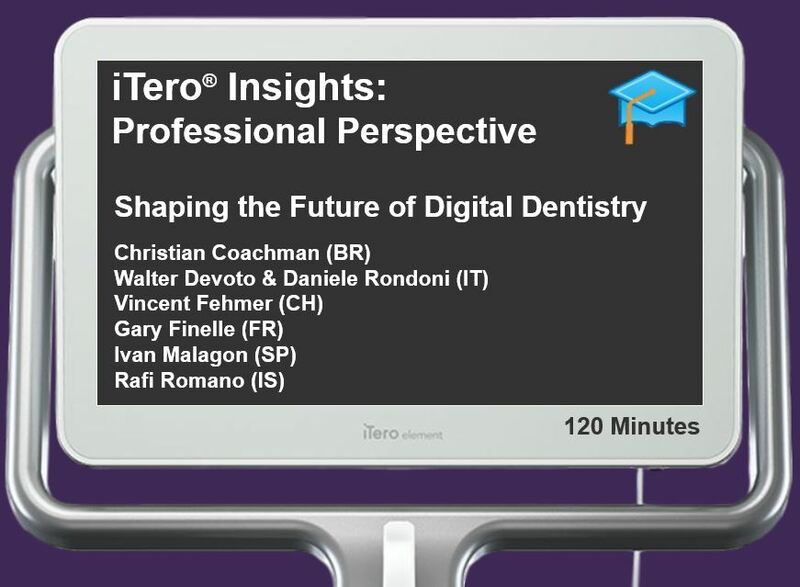 To communicate digitally with dental laboratories using the iTero Restorative workflow. 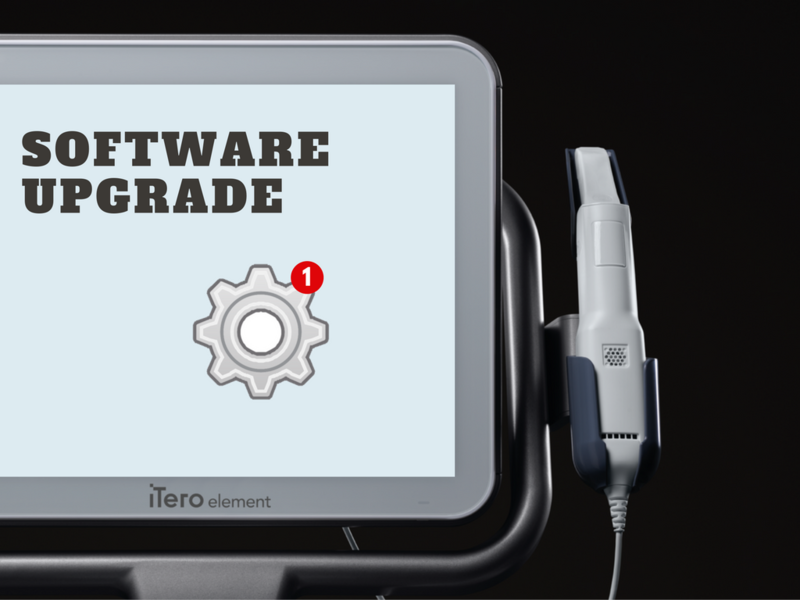 Open a patient scan on the scanner or MyiTero.com and activate the Progress Assessment tool. Review the Progress Assessment Report. Use Progress Assessment in different every day clinical scenarios. Identify the specific information needed to run the Progress Assessment. Engage your team in the use of Progress Assessment. In this webinar, we will provide ideas on how to start to scan your patients on a regular basis. Create an actionable plan to begin scanning every day, creating digital records for all patients. 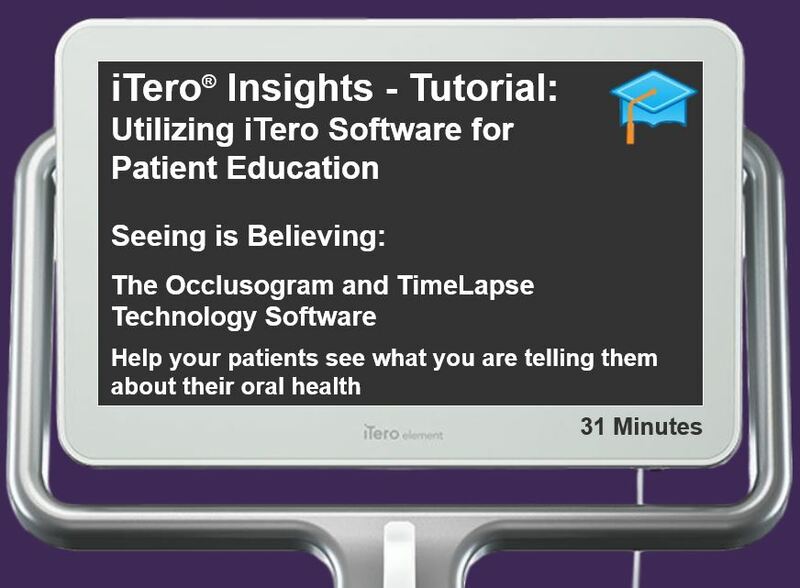 Utilize TimeLapse Technology to show patients changes in their oral health.